Florence has joined us in 2018 as due to a break up she was looking for a new home and had been trialled by a family in Birmingham. 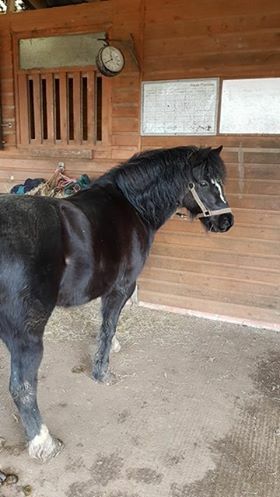 Due to her being unsettled she was not suitable for her new home but was unable to return to her former owner as she no longer had the field or even a trailer to pick her up. She is settling in well at the stables but struggles with being stabled and can get anxious away from her friends.